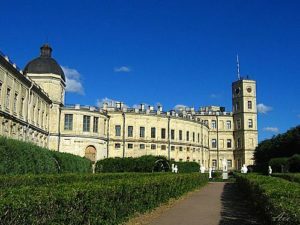 The Gatchina Palace stands special among the other emperial palaces around Saint-Petersburg. It is the only palace that is faced with the natural stone and looks like a medieval european castle. The Pauls Palace in the city of Pavlovsk was built in 1784 by the architect James Cameron for Paul, the son of the Empress Catherine II. The landscape park of Pavlovsk named to be the largest in Europe, and the best in the means of planning.